Our appeal. Can you help? As a charity operating in a time of national austerity, demand for our services is rising. We know many of our tenants have also been hard hit by rising bills and reduced savings. 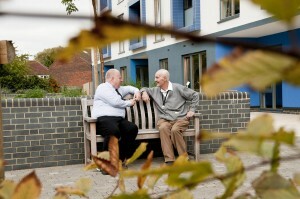 We need more funds for services to our tenants. And our plans to bring a better quality of life to more vulnerable people in Harrow can only move forward if we can secure new sources of income. I am appealing for your support to help us continue our mission. Every little bit helps. So please make a donation today, large or small, or pledge your support to raise funds for this vital work. Send a cheque or postal order made payable to Harrow Churches Housing Association to our head office (see address here). Organise a collection at your church, community centre, school or college. We can send a speaker and provide collection buckets. Get involved in a fun activity or event such as a sponsored clean up, fun run, swim or anything that takes your fancy! Again, we can help. Volunteer some of your time. Leave a legacy in your will to HCHA We’d be delighted to help if you would like to know more about our services for vulnerable people. We’d be delighted to help if you would like to know more about our services for vulnerable people. Contact us today.